The start of any project usually involves one visionary individual. So it was with Hereford Lions Club. 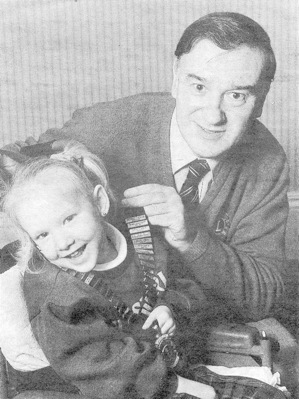 Dennis Taylor, a manager with Royal Insurance, had helped form a Lions Club in Harrogate in 1955 and after being transferred to the Gloucester branch started a club there in 1959. He quickly persuaded his fellow branch manager, Ron Williams, that Hereford needed a Lions Club, too. 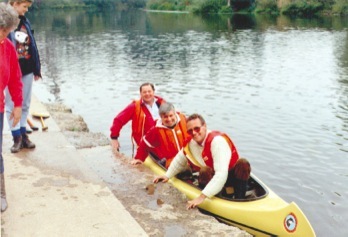 Ron, in turn, recruited his old army pal, Howell Davies, a partner in city solicitors, T A Matthews who would become the new club’s first president. The rest, as they say, is history. Jimmy Cottle, whose younger brother, Peter would follow him in the role a few years later, took over as president. Accountant Howell Haines took over as secretary, and would be at the forefront of the Lions international movement for the next half century, including sterling service as national treasurer.. The club is invited to send two local blind people to a newly opened holiday home for the blind in Great Yarmouth, which two years later would spark the idea of the club having its own holiday home. The club hits a rocky patch. Only nine of the original 19 members remain. Crisis meeting held. Members rally round and eight new members recruited, amongst them Ralph Green and Peter Cottle who would devote a lifetime to the cause. Howell Haines is in the chair and the club buys its first holiday home, a chalet at Clarach Bay, Aberystwyth, providing free holidays for local people in need of a break by the seaside. It cost £1,200, mostly paid by a bank overdraft. 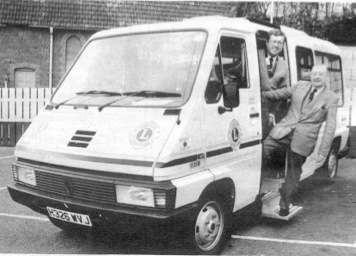 This was the year the Lions community transport service was launched. The mini-bus cost £698, by contrast the latest model cost the club £48,000. It was also the year Lions introduced live match reports from Hereford United to local Hospitals which would run for many years. Bring on the dancing girls. (pictured) Lions staged a Polynesian Evening and adding a touch of glamour were members of the operatic society’s chorus line (l to r) Pam Pearson, Di Butler, Pennie Newton-Sealey and Sandra Harling. Club members on parade were Howell Haines, Joe Yeomans, Larry Farnham Harold Rumsey and Geoff Lewis. Duncan Heins, who ran an auction room for household furnishing and goods, was president and helped furnish the holiday home with good quality items passing through his saleroom. The year of the terrible Aberfan Disaster, a South Wales coal tip collapsed on the local school killing dozens of youngsters. 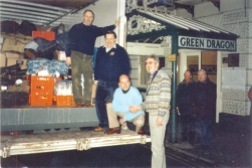 The day following the disaster club president, Peter Cottle delivered a van load of toys, donated by city shops, to Aberfan for the surviving children. 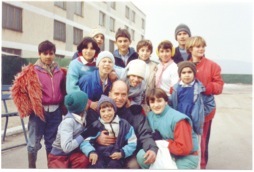 The first voluntary organisation to reach the town. President Ralph Green launched the club’s first annual Donkey Derby,. For the next 21 years the donkey racing would be the top attraction of the summer. Like all such events it finally ran out of steam. But there will be thousands in the city with happy memories of a day at the races. Ken Davies, whose family ran a photographic shop in the city, is elected president. Camping gear is bought for the Lads Club. Joe Wade, the ex-Arsenal footballer, who played for Hereford United, is now leading Lions Club and establishes a twinning with the Lions Club of Vianen in Holland from which many lifelong friendships were made. The club launches its biggest ever raffle prize – a £9,000 new bungalow at Fownhope. President at the time, Tony Cole recalls: “We had to sell 600 tickets at £25 a time. 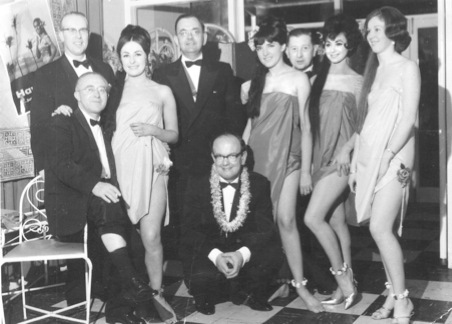 It was a hell of a risk, but in the end all tickets were sold making a £6000 profit.” The bungalow was won by Mick Gullis. It was also the year the annual dinner and boxing tournament started, still going strong. 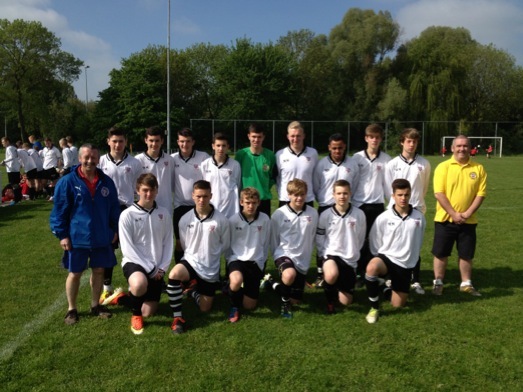 Also, the football trips to Holland for young lads, another Lions project continuing to this day. Lions started their Santa Sleigh tour of Hereford in the weeks before Christmas, visiting virtually every street in the city and surrounding villages.. It’s a great city festive tradition.. Remember the heatwave of 76. A lorry load of ice cream was ordered for the Donkey Derby, but by the time the crowds arrive it had all melted. Fownhope garage owner, Denzil Biggs, is in the chair when the club set up their biggest ever project and bought for £30,000 a sea front house at Burnham on Sea as its new Holiday Home. Its now worth £430,000 and remains open for free holiday for those in need in Hereford and district. 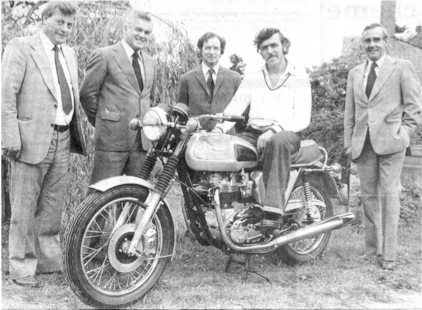 Anthony Over of Ross wins a Triumph motorbike in the 1977 Lions raffle.one of the clubs first crazy prizes, later they would raffle some Hereford Bulls and a flock of sheep. Pictured from left to right : Graham Rivers, Denzil Biggs, Tom Barrow, Micky Bolt. Farmer Graham Powell led a project to help organise and fund a holiday in Holland for 35 handicapped adults from the Rockfield Road adult training centre. 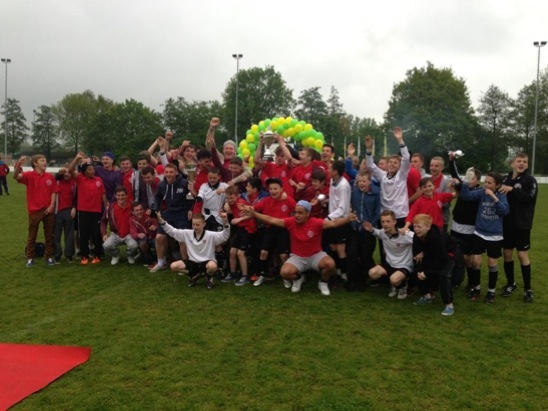 Our twin Dutch club in Vianen laid on trips for them. The club hosted the Lions District Convention at the Nell Gwynne Theatre, with delegates welcomed by a Hereford bull! City businessman, Graham Rivers decided it was time the club had a new min-bus for its community transport service and launch a three year £14,000 appeal fund to pay for it. Lions enhance their reputation for crazy fund raising ideas by raffling four bullocks which were later sold at the cattle market earning the prize winner £1000. President Keith Martin launched the popular Lions BBQ at Lucksall, Fownhope which would run successfully for 26 years. Another popular fundraiser, Racenight was launched and continues to this day. A new mini-bus costing £14,000 is purchased for the community transport service. To mark the club’s 25the anniversary, the president, city photographer Derek Foster, launched the concept of Silver Dining Clubs, an opportunity for the elderly to get out and enjoy a meal and company. Ralph Green was president – and entry to the Lions popular Donkey Derby was just 50p. Former Hereford United footballer, Roy Williams was broadcasting live commentary from the matches at Edgar Street to the local hospitals. Lions were touched by the plight of local youngster, Rebecca Field, born severely handicapped and relying on a ventilator to keep her alive. The club bought her a specially adapted electric wheelchair to give her some independence. The club also arranged that year for Brian Colburn, who had lost both his arms and legs, to fly to Australia to visit his daughter. It was also the year Lions launched the Hereford Marathon in aid of St Michael’s Hospice. This was the year club president, John Goulding, made national headlines in The Sun. Blazed across Page 3 was the saucy headline ST. KNICKERLESS. 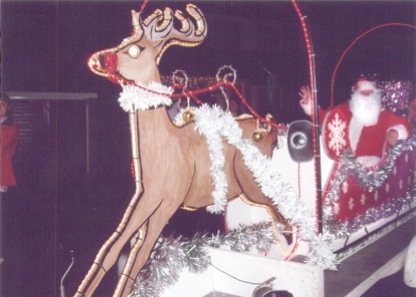 John was playing Father Christmas and had been invited along with the Mayor to switch on the festive lights at the Maylord shopping centre. Surrounded by hundreds of children and their mums and dads, John’s trousers suddenly fell to his ankles, causing hoots of laughter from the assembled crowd and leaving John redder than his Santa uniform. 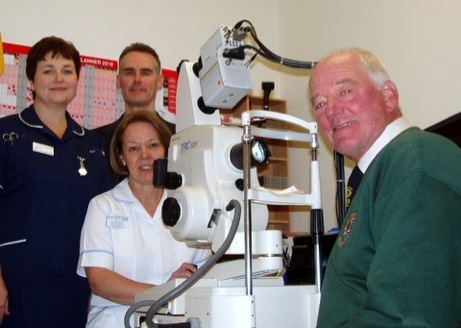 The club paid £20,000 for a vital new eye surgery camera for Hereford Eye Hospital, replacing the one they had bought 15 years earlier. This was the 21st anniversary of the Lions Donkey Derby. President John Weatherall decides its time for a new mini-bus and the club quickly raises the £20,000 to buy one. Romania was in turmoil. The country’s president had been executed. The world suddenly became aware of the terrible plight of Romanian orphans. Hereford Lions did their bit to help, sending a lorry load of vital supplies to one of the orphanages with three members volunteering to do the driving. John Burgoyne was president and for his project devoted £3,500 to equip a special sensory room at the St Owen Centre for adults with learning difficulties..
George Thomas introduces the ‘Jim Will Fix It’ theme from the television show , and the club’s ‘Lions Will Fix It’ campaign offered a helping hand to local charities or individuals who were facing problems getting a project or a personal goal completed. Stuart Sheehan, whose pork butchers shop in the Butter Market is a popular port of call for many, bought a new £4,500 electric run-about for the city’s new Shopmobility scheme. 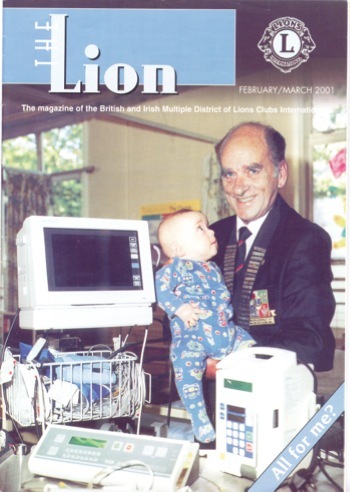 Lions Festive News is launched and becomes a great success..
Des Brooke organises the purchase of new computers for Hunderton School,. An £8,000 special heart disease testing machine is bought for the city hospital. Brendon Feeley, then just 14, was paralysed when he dived into the River Lugg and hit his head on a rock. Lions bought him a specially adapted electric wheelchair to give him some independence. David Hartland runs a refrigeration firm, but proves he has a warm heart leading the club’s community service work. Tony Sandford, (pictured) on one of his Santa festive visits to the children’s ward at the city hospital discovered the ward did not have its own life saving equipment, putting the children at risk. Lions quickly remedied the problem with a £12,000 resuscitation trolley. Retired headmaster David Mathias ensured that a group of handicapped youngsters from Bishops School got to compete in the annual Kielder Challenge. A car draw raises £34,000 for the new Acorns Children’s Hospice. 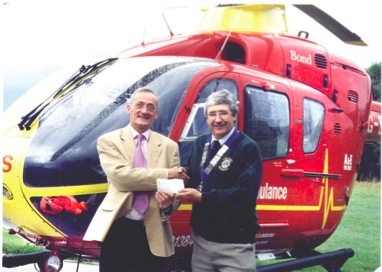 Another car draw enables Colin Smith ( pictured) to hand over £10,000 to the County Air Ambulance. And yet another car draw, organised by president Mike Hughes, makes £22,000 for Macmillian Cancer Relief. 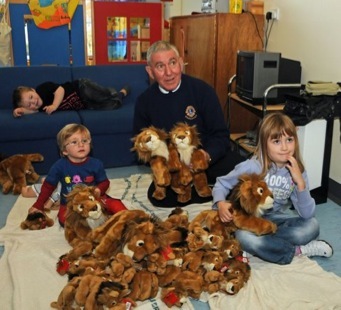 Martin Exell made sure Lions came to the rescue of the city’s MS Therapy Centre in Mostyn Street when it did not have the £2000 demanded by a Government department to inspect the centre to check it met the standards laid down by new legislation. The club bought a horse for £5000 for Riding for the Disabled. With John von Anrep as club chief, Lions boost the Macmillian/Renton appeal to build a new cancer unit at Hereford Hospital with a cheque for £20,000, raised by yet another car raffle, and also bought a new £48,000 mini-bus. Martin Forder arranged for two deserving city charities, Headway, which cares for people with head injuries, and l Ledbury Road, a facility for youngsters with learning difficulties to share £8000 for new equipment.. 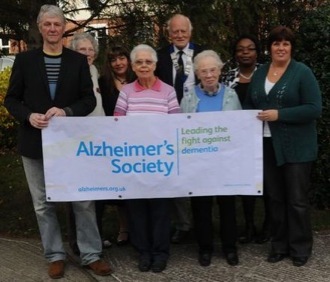 This year Hereford Lions Club is to contribute £15,000 to help the local Alzheimer’s Society open a new Information and Advice Centre in Hereford city centre. The Alzheimer’s project will be an internet café style drop-in centre, manned by volunteers, but with professional back up from a dementia support worker. Some 2,700 people in Herefordshire have the illness and the number is growing as the population ages. 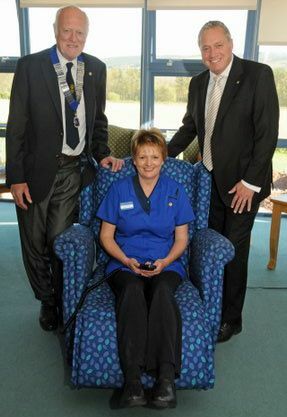 The club has also donated four riser reclining chairs at a cost of £2500 to St Michael’s Hospice to mark the silver jubilee of the hospice. Sister Ann Bicknell, of St Michael’s Hospice said of the gift of the chairs: “The patients really love them. They are a huge improvement on our existing reclining chairs.” She added: “The Lions Club over the years has supported the Hospice in so many ways and this latest gesture marking our Silver Anniversary is typical of their concern for those in the community who need extra care. Pipped for victory.. (l to r) Rich Negus, Will Skinner, James Cooke, Alex Allen. Hereford’s St Michaels Hospice, which recently announced a £10 million appeal to double the size of the hospice, has received a £20,000 donation from Hereford Lion’s Club to pay for several urgent projects. The club, this year celebrating half a century of community service, will be funding the refurbishment of the clinical room, where drugs and medicines are prepared, replacing a heated trolley used to deliver meals to the patients and buying two specialised mattresses each costing £2,000. The Lions have also presented the children’s ward at the County Hospital with a large supply of cuddly lion soft toys to be given to youngsters being treated in the ward. The club has a close link with the children’s ward, ensuring every Christmas morning that Santa arrives with presents for those having to stay in hospital over Christmas. The club has given a £1000 thank you gift to the eye unit at the county hospital for saving the sight of one of its members, Ray Rose. The donation goes towards the cost of buying new diagnostic camera equipment. 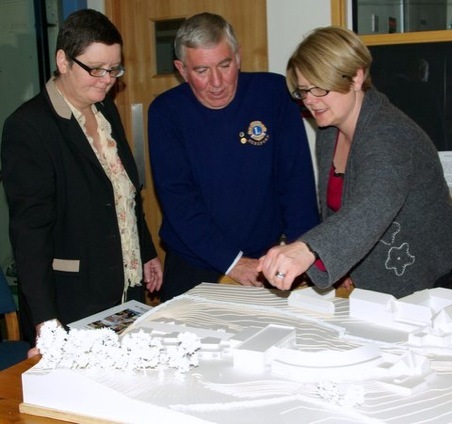 Lions Club gave £20,000 towards the public fund to build the Renton chemotherapy unit which opened last year and now, through former president, Ron Williams, who has been treated at the unit, a further £10,000 is being donated to the second phase of the cancer busting unit which will cut the ‘misery miles’ of thousands of patients who currently have to travel to Cheltenham for radiotherapy. The radiotherapy unit, alongside the existing chemotherapy service, is costing the NHS over £7m. to celebrate the Queen’s Diamond Jubilee in 2012. The new Diamond Jubilee Avenue on Roman Road by the new livestock market, creates for future generations a magnificent tree lined entrance to the city. 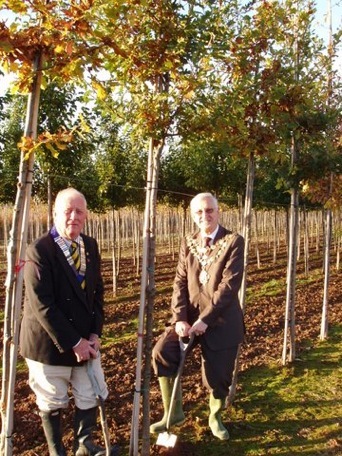 Lion John Edmunds (left) and the Mayor of Hereford, Cllr Brian Wilcox, dig up the first of the 60 oak trees for the new Diamond Jubilee Avenue. Hereford Lions Club has set up a £10,000 Lions Diamond Jubilee Community Fund to help smaller local community and charity projects get started or develop. The club believes the fund will be a godsend to those community based self-help schemes springing up in the city and neighbouring villages but needing a cash injection to succeed. The fund aims to be a springboard for a wide range of schemes which will improve the quality of life for many people, young or old. President John Edmunds explained: “The Queen’s Diamond Jubilee, together with the Olympics, in 2012 has created a ground swell of support for communities to work more closely together and this is a concept Lions Club wants to foster”. To apply send full details and costings to:Hereford Lions Club, Diamond Jubilee Community Fund, PO Box 158, Hereford HR1 1WS. Lions Club members come from all walks of life, but have a common bond - a desire to serve the community, and have fun doing so. 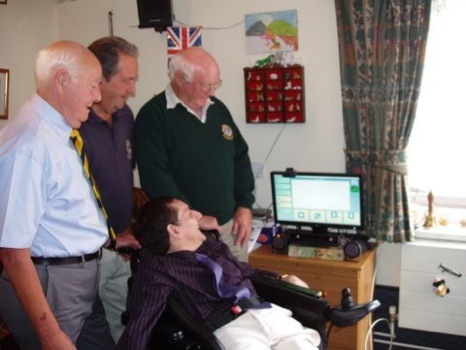 The Lions Club of Hereford roared into action when they heard that a local man with cerebral palsy was short of funds to buy a computer and camera that would open up his world. Richard Hooper, 47 from Hereford has had cerebral palsy since childhood. His brothers found out that a local company in Malvern were working on software interfaces with computers which would enable Richard to override his disability. Smartbox Assistive Technology Ltd in Malvern supply Eye gaze systems which allow people with severe physical disabilities to access a computer. These high-tech systems have an in-built camera which tracks where your eyes are looking, enabling you to move the mouse pointer around. You can 'click' by blinking, dwelling (staring at the screen for a certain length of time) or using a switch. This is done by the software The Grid 2 which is made by Smartbox's sister company Sensory Software. The quote for the system was around £5,500.00 and the family had to find top-up money to be able to purchase this equipment. Welfare Chairman of the Hereford Lions, Mr Mike Hughes said : “Lions knew Richard as over the years we have provided transport for him to visit his family in Wales and Devon. Richard’s brothers say that for the first time in his life, Richard is able to override his disability. “The first time he opened up the computer using his eyes, and read ‘Welcome’, he became very emotional. With Skype he can now answer calls from us and see us too. Amongst other features the Grid 2 reads out his messages to him which will help with his reading. “This technology really is a great breakthrough as disabled people become isolated very quickly”. 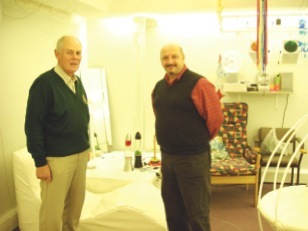 Mr Neil Jenkins, who was the President of the Hereford Lions Club last year, took the cheque to Richard and said. “Frankly, seeing Richard in his room and his delight at showing me what he could do with his new computer was the highlight of my presidential year. It is very moving and I am delighted that Lions could help in this way”. Bede Widdicombe is 15 but he has already undergone 18 major heart operations and can only walk very short distances, a big restriction for a bright young teenager. He is one of only nine youngsters worldwide with his rare heart condition. The hi-tech machine designed and built in Italy even folds up into a compact size to fit in a car boot. 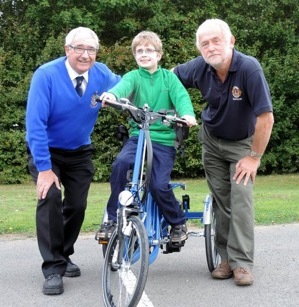 Bede is pictured on his new trike together with Colin Smith (left) and Nick Rowlatt. Six year old Ben can’t walk. But now, thanks to a gift from Hereford Lions Club he is mobile and can play with his school chums. 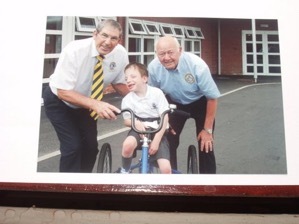 Ben is pictured showing off his new trike to former club president David Barrett (right) and Ron Williams. 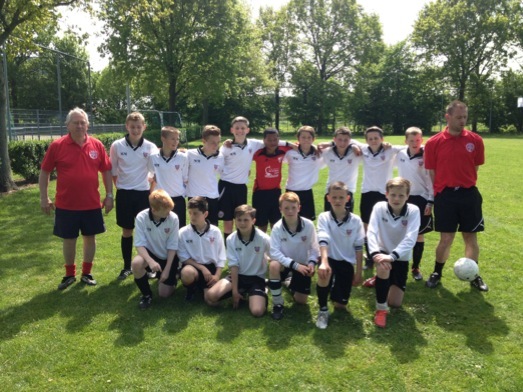 Hereford Lions fielded four teams in the international youth football tournament in Holland, with three of them getting through to their section finals, and all three being decided on penalty shootouts. 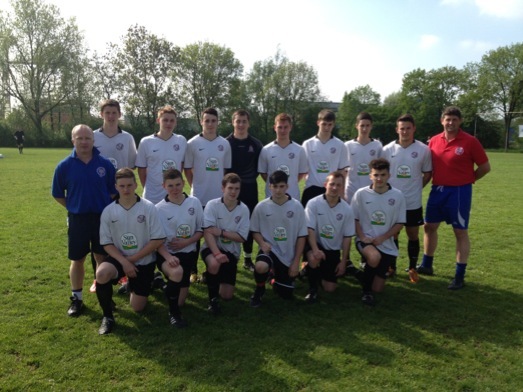 The under 12’s and the under 14’s claimed victory, but the under 16’s failed to make it a hattrick. But it was enough for Hereford to take the overall tournament championship. 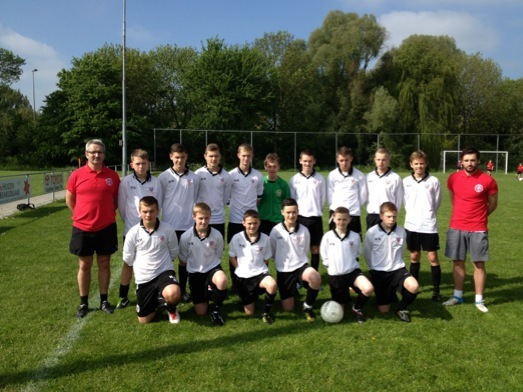 It was the 37th year that Hereford Lions Club had taken some 60 local schoolboys to play in the European tournament in Vianen and it is reckoned that over 2000 lads of benefited over the years from their first experience of a major overseas soccer championship. Some have gone on to make successful careers as professional footballers.